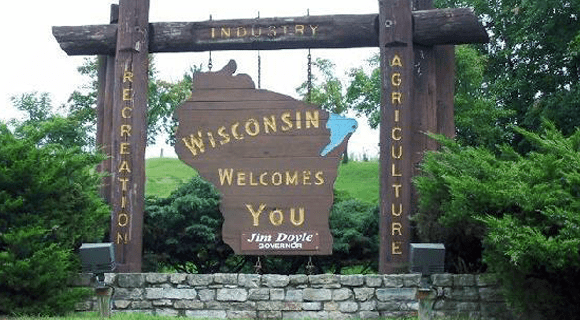 We all know Wisconsin is America’s Dairlyand, home to the largest musical festival (Summerfest) and the nation’s largest water park (Noah’s Ark). But, there are other unique things about the Badger state that are a bit more bizarre and not as well known. 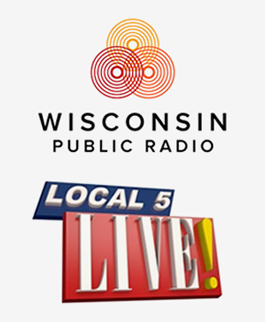 Here are five interesting facts that add personality to our proud Wisconsin history! Wisconsin is the leading producer of ginseng in the U.S. and makes more than 10% of the world’s supply! Ginseng root has been known to lower blood sugar, cholesterol, help with stress, improve strength and promote relaxation. It’s used as an ingredient in many products throughout the world, and Wisconsin gets to take a lot of the credit! Back in 1904, the four Fromm brothers from Hamburg, Wisconsin transplanted 100 wild ginseng plants onto their land from nearby forests to preserve the plants. Keep in mind that ginseng has to be cultivated for three years before it can even be harvested! Today, wild American ginseng is an endangered species due mostly to diseased plants. But, the perseverance by the Fromm brothers as well as the favorable climate and fertile soil have made Marathon County (near Wausau) the Ginseng Capital of the World. American Ginseng of Marathon, LLC is a huge family owned business in Marathon County with 280 acres of virgin soil. The family has been producing ginseng for more than 30 years. More than 90% of all U.S. ginseng is grown in WI and almost all of that is produced in Marathon. Sholes and Glidden typewriter, 1873, the first commercially successful typewriter with a QWERTY keyboard. As with many useful inventions, lots of people contributed to the eventual success of the Typewriter. Historians estimate 52 different designs of the machine were created before somebody got it right. And that’s where we smarty pants from Wisconsin come into play, once again. It’s a fact that in 1868, a few folks from Milwaukee, Wisconsin created the first commercially successful typewriter! Nice, right? Newspaper editor and printer, Christopher Latham Sholes, came up with the Q-W-E-R-T-Y keyboard layout. If you look at the first six letters to the top left of your keyboard – even the one on your mobile phone – you’ll see we still use this layout today! Supposedly, Sholes placed the letters in a way so our fingers could alternate, jams could be prevented and there was more room to help you type faster. This means, a Wisconsinite created the standard for how we type. It is said that Sholes was annoyed at a few flaws in his design, so a few other guys hooked up with a sewing machine manufacturer to commercialize what they called the Sholes and Glidden Type-Writer, which is where the origin of the term ‘typewriter’ came from. Once upon a time, in the early 1800’s, a man named Ed Berners owned a soda fountain shop in Two Rivers, Wisconsin. Back then, there was a law in Two Rivers that said it was illegal to serve soda on Sundays – for religious reasons. One of Berner’s customers, named George Hallauer, was on vacation from Illinois and visited Berner’s shop one Sunday asking for a dish of ice cream. Except, he wanted to try the sauce on top that they used for the ice cream sodas. “One night, Hallauer dropped in and ordered a dish of ice cream. As I was serving it, he spied a bottle of chocolate syrup on the back bar, which I used for making sodas. ‘Why don’t you put some of that chocolate on the ice cream’” he asked. The very first ice cream sundaes only cost a nickel. You can still get a sundae at the replica of Berner’s ice cream parlor in the historic Washington House Museum in Two Rivers, Wisconsin. Choose from 18 flavors, and see pictures of the George Berner’s original store as well as good old George himself. The folks in Two Rivers also have a Sundae Week celebration every summer. They gather in Central Park for music and an ice cream social. Get the rest of the Two Rivers Sundae story along with the Sundae Fight Song lyrics, pictures and a video. Back in 1960, Bloomer coach and school teacher, Wally Mohrman, thought up a fun winter activity for the kids. It was the rope jump contest. Kids from first grade through middle school would compete to see who could jump a rope the most times in 10 seconds! That’s when jumping rope became a worldly sensation, and Bloomer was named the Rope Jump Capital of The World. They were featured on an NBC reality show called Real People as well as The Tonight Show with Johnny Carson. It was on the Tonight show that Bloomer native, Paul Morning set the standing world record of 72 jumps in 10 seconds. To this day, Bloomer holds a big World Rope Jump Competition which takes place every year on the last Saturday in January. Check out this video of the 2013 Grand Champion, Vaughn Zwiefelhofer with 59 jumps. The first American Kindergarten was started by Margarethe Schurz, wife of famous German-American statesman, Carl Schurz. Being a native of Germany, Mrs. Schurz learned the principles of kindergarten from Friedrich Froebel of Germany who created it. When family brought the couple to Watertown Wisconsin in 1856, Mrs. Schurz started a small kindergarten class in their home. It was called “Karlshuegel,” meaning Carl’s Hill, which burned down in 1912. The private class of five was moved to a new little building in Watertown where kids attended kindergarten through the 19th century. Of course, Kindergarten eventually became a regular part of the U.S. public school system. In 1957, 100 years after Mrs. Schurz brought Kindergarten to the U.S., the Watertown Historical Society moved the little school building to the Octagon House Museum. This house is one of the largest Wisconsin single family residences of the Pre-Civil War Period. It has been open to the public for tours since 1938. That would make a fun field trip sometime! There are so many fun things to learn about the history of our home state! Do you have a fun fact about Wisconsin to share? Leave a comment and let us know! 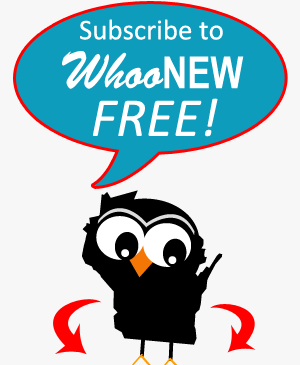 And don’t forget to subscribe to WhooNEW free so you don’t miss a story. 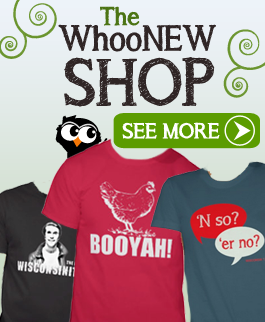 Enter your email underneath Scoots the Owl over on the right! Interesting story Ashley. It is always great to learn more about our home state! Thanks, Mama. ; ) Appreciate you reading it too! As a Watertown-native I grew up very proud of my kindergarten-inventing heritage. My school was actually only a few blocks from the Octagon House and we visited it often. If you ever go, be sure to check out the exhibit on goose noodling. It’s very informative. Way to represent my hometown Ashley! And great article! what is goose noodling? and where is Watertown located? Watertown is in Southeast Wisconsin. It’s halfway between Milwaukee and Madison. As for goose noodling, it’s the practice of feeding geese noodles so they get nice large livers. It’s used to prepare them before you make liver patte. Here’s a good synopsis of the practice from the Watertown Historical Society-http://www.watertownhistory.org/articles/stuffedgeese.htm. “Diamond” Jim Doyle is no longer our Governor. We have a real one now. We are having a guest from Wisconsin in and I wanted to quiz her!! The first wayside to right?